After serving as a bridesmaid 27 times, a young woman wrestles with the idea of standing by her sister's side as her sibling marries the man she's secretly in love with. Two things about Jane: she never says no to her friends (she's been a bridesmaid 27 times and selflessly plans friends' weddings), and she's in love with her boss, George, nurturing dreams of a lovely, romantic wedding of her own. She meets Kevin, a cynical writer who finds her attractive, and that same week her flirtatious younger sister Tess comes to town. Jane silently watches George fall for Tess, a manipulative pretender. Worse, Jane may be called upon to plan their wedding. Meanwhile, Kevin tries to get Jane's attention and has an idea that may advance his career. Can Jane uncork her feelings? Taglines: This January, always a bridesmaid, never a bride. While Jane and Kevin are in the bar, you can hear a Josh Kelley song in the background. In real life, Josh Kelley is married to Katherine Heigl. Errors made by characters (possibly deliberate errors by the filmmakers): Jane (Katherine Heigl) cleans all the dresses out of her closest and puts them in garbage bags. 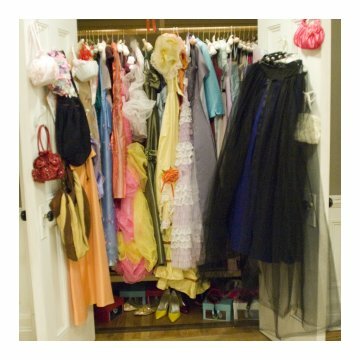 It would follow that she gets rid of them (throws them away or donates them), but all the brides manage to wear "their" dresses at her wedding later. Rumpled up in garbage bags wouldn't be the best way to store a dress. Jane: [after spending a drunken night with Kevin] I just want you to know, I never do this. Jane: No, really. I never, never do this. Jane: Okay. I just wanted you to know. For many the plot of this movie feels formulaic and revisited. Jane (Katherine Heigl) is the people-pleaser of the century. A somewhat spineless nice girl who can't say no to anyone, she has been a bridesmaid 27 times, often exceeding her duties in every wedding. For all her romantic yearnings, she can't seem to hook her boss, George (Ed Burns) whom she has been in love with for years. When her self-centered little sister Tess (Malin Akerman) comes in and manages to snag George, Jane once again capitulates to everyone's needs but her own. In comes Kevin (James Marsden), a newspaper columnist stuck covering weddings who yearns to break out and write about more important things. Under the pretense of covering George and Tess's wedding, he really is writing about Jane and her perpetual bridesmaid stints. Complications ensue etc. etc. For me, what really made this movie was the performances. Katherine Heigl did an absolutely fantastic job playing the woman that I'm sure everyone has felt like at one time. She brought a lot of spice to what could have been a one-note role. James Marsden is also pitch-perfect as the cynical reporter, a foil to Jane. It helps that they have good fight-and-kiss chemistry. Also, for me the story line was not as tired and recycled as people made it out to be. It had some fresh spin and I really enjoyed it. I also preferred the ending to this movie to many chick-flick comedies which leave things open-ended and almost unrealistic. 27 Dresses wraps up all the plot lines in one neat sequence that is a truly worthy finale. All in all, as far as romances and rom-coms go, this one shot to the top of my list.